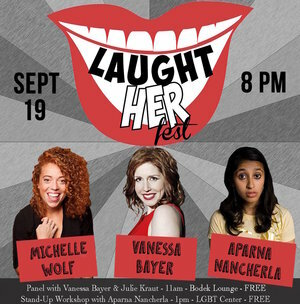 Providing a platform for women to share their unique comedic voices, we'll show the world how kickass women in comedy are. 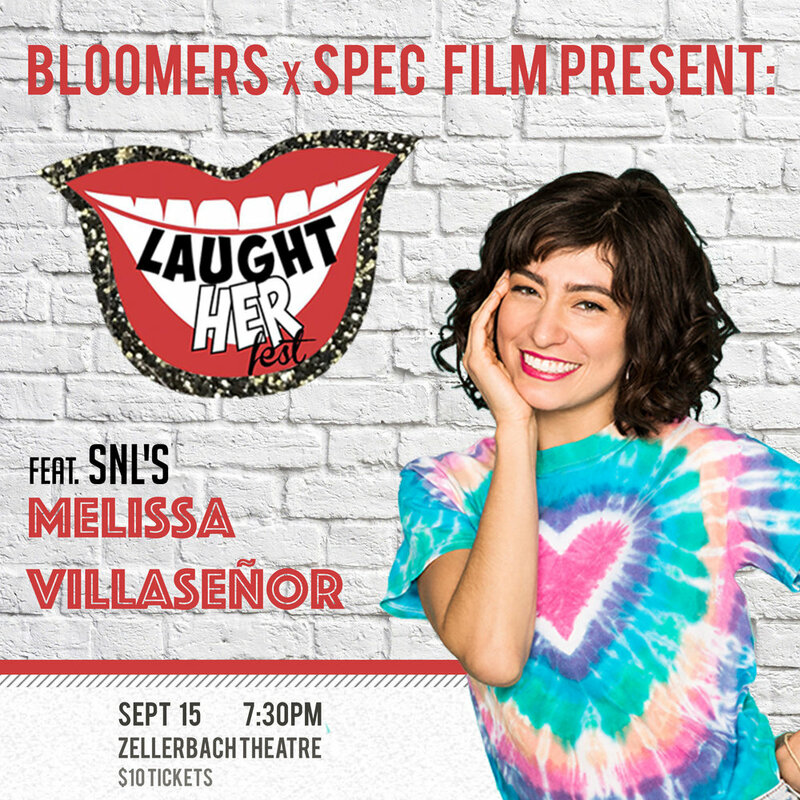 LaughtHERfest is a yearly event hosted by Bloomers at the University of Pennsylvania. 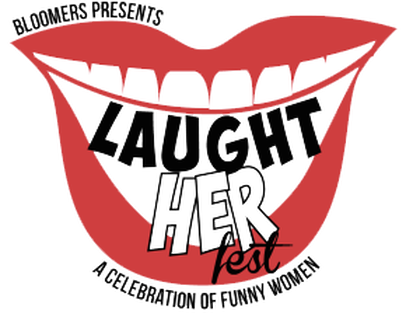 The purpose of LaughtHERfest is to celebrate any and all women — young and old, professional and amateur — who have an interest in comedy. The festival entails a full day of panels, workshops, and activities led by female comedians, and culminates in an evening performance. A New York City based comedy writer and performer. She most recently was featured on Comedy Central’s Adam Devine’s House Party Season 2 and @midnight, and listed as one of Time Out NY’s “10 Funniest Women in New York.” She was a writer and regular correspondent on FX’s Totally Biased with W. Kamau Bell, and has also appeared on VH1’s I Love the 2000s, and TruTV’s Friends of the People. In 2013, she made her late night stand up debut on TBS’s Conan, and was one of the breakout New Faces at the prestigious Just For Laughs Festival in Montreal. She can regularly be seen performing at the Upright Citizen’s Brigades in LA and NYC. 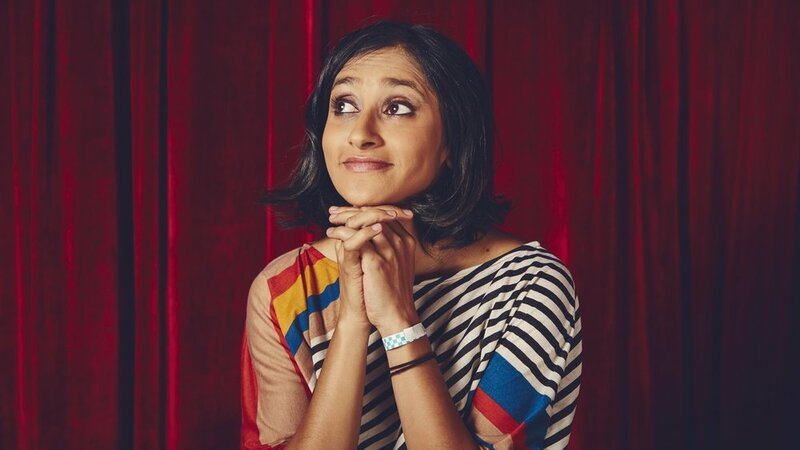 Having just finished touring with John Oliver and Tig Notaro, Aparna was recently named as the newest staff writer on Late Night with Seth Meyers. An LA based comedian who TimeOutNY described as “definitely one to watch.” She is currently a staff writer at FUNNY OR DIE. She has performed all over the world, including SXSW, the NY Comedy Festival and the Edinburgh Fringe. She has appeared on TBS’ Are we There Yet?, Conan, and MTV’s Damage Control. Eliza is a writer for Fashion Police on E!, and her writing has been featured in Glamour, Cosmopolitan, and Cracked. 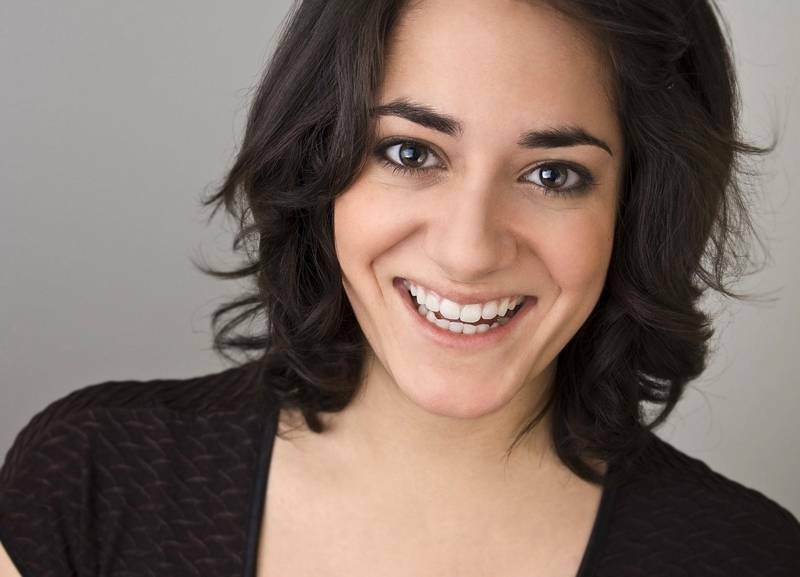 Eliza is also a teacher and regular performer at the Upright Citizens Brigade Theater. A believer, and leader, in social change powered by pop culture. She believes that a comedy school for girls should be a thing, and is working hard to make it so. She is the Vice President of Communications for Breakthrough, a global human rights organization driving culture change to promote gender equality. She is a retired standup comic, award-winning journalist, author, and commentator. She is also co-creator (with supergenius Chris Kalb) of the award winning website BreakupGirl.net, headquarters of the only superhero who rescues anyone in need from romantic emergencies and saves love lives worldwide. A her-spanic comedian who has been writing and performing comedy since 1989. She’s toured with The Second City, done stand up across the country, and performed in a Lincoln Center benefit called, Leave It To Beavers: A Night With Tina Fey and Friends. She preformed at Glasgow International Comedy Festival, San Francisco Sketchfest, Limestone Comedy Festival, opening for Adam Devine, Gilbert Gottfried, Aparna Nancherla, or SNL’s Michael Che. Described as “equal parts sly, crazy, sassy, subdued and has clearly studied closely that particular flavor of Midwestern wack-a-doodle”. Marlena co-wrote and starred in the hit web series, We Have To Move. And in 2015, Marlena began writing for Tina Fey’s Unbreakable Kimmy Schmidt. Follow her on twitter @MarlenaRodrigz. A Los Angeles-based actor and comedian, from San Francisco. Appearances on Orange is the New Black, Marvel’s Agents of S.H.I.E.L.D., Key & Peele, The UCB Show, Comedy Bang! Bang!, The Birthday Boys, DICE, Childrens’ Hospital, Parks and Recreation, Harry’s Law, Crash and Bernstein, and some pretty silly television commercials. Her UCBTLA solo show, God Hates Figs, earned praise from the LA Weekly which called it, “…a sagacious autopsy of the frailties and foibles of life.” She’s been featured at SXSW, Sundance, The Eugene Mirman Comedy Fest, Bridgetown, Moontower and was called a “Funny Female to Follow on Twitter” by the Huffington Post. A member of Bloomers from 1990-1994, during which time she was a writer, the guitarist for the band, and the chairwoman of the group. 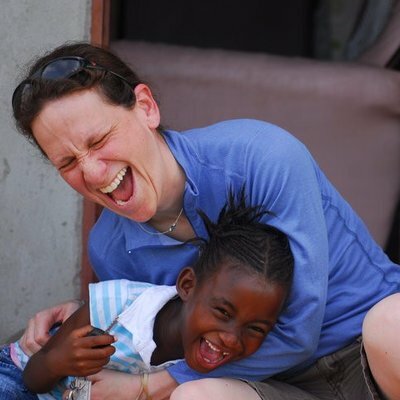 Brooke is the Founder and Executive Director of The TRIAD Trust, a non-profit organization that trains local leaders in communities around the world with the highest prevalence of HIV/AIDS to create their own sustainable health and life skills education programs using improvisational techniques. TRIAD's ImprovED program has been recognized by the International AIDS Society, The New York Times, NPR, PBS, and featured in a documentary aired on ESPN during the 2010 FIFA World Cup coverage. Brooke is an honors graduate of the University of Pennsylvania, earned a masters in journalism from Northwestern University, did advanced graduate work at Harvard University, holds a specialization certificate in Business Strategy from the University of Virginia Darden School of Business, and studied literature and photography at the University of Oxford. While working with TRIAD in rural sub-Saharan Africa, Brooke invented RemoteID, the award-winning, patented biometric identification tool TRIAD uses in the field to manage programming monitoring and evaluation. 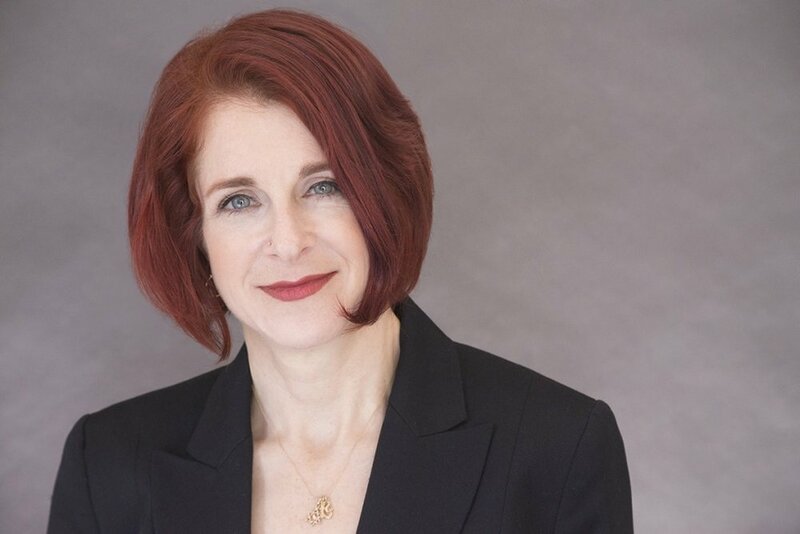 As CEO, she's overseen RemoteID increasing access to health and social services to more than 6 million vulnerable individuals around the world. A super-proud founding member of Bloomers, founding patron of LaugtHERfest, and author of the NYT-published satirical piece "Dear Wells Fargo: We *Heart* 6 Henley Court" (aka “Wells Fargo Wants to Know What’s A-Brewin’ in My Uterus Before They Make Me a Loan”), which was reposted over 200 times and covered in print and TV media, and prompted Wells Fargo to stop its practice nationwide of requiring mortgage applicants to disclose their reproductive plans as a condition of getting a mortgage. Now who says lawyers can’t be funny? 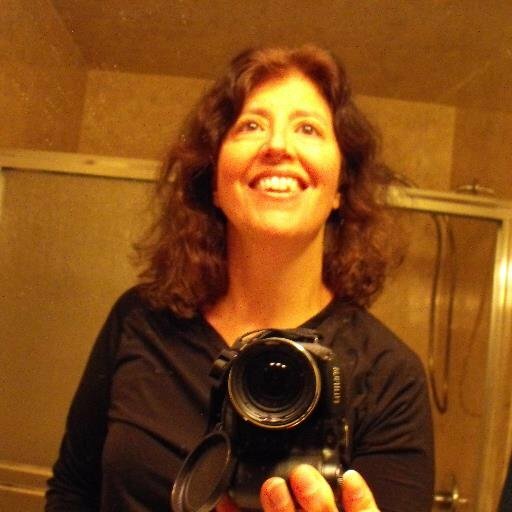 Linda’s current screenplay, Out Flying Past My Bedtime (and the Latina version, The Adventures of Super Bambina) have won Third Place, 2015-2016 Fresh Voices Screenplay Competition (Family/Animated); 2016 Platinum Award, IIFA (Animation); Finalist, 2016 Artemis Women in Action; and Official Selection, 2016 San Diego International Kids Film Festival and 2016 Action on Film Film Festival. A successful talent agent at William Morris Endeavor and has worked for Comedy Central and MTV. A NY-based writer and standup comedian and one of the fastest rising comedic talents in the city. She currently works as a writing supervisor on Late Night with Seth Meyers, where she also made her late night television debut as a comic in July 2014. 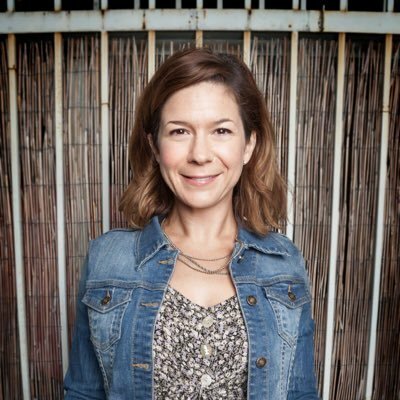 Michelle appears regularly on the show in various bits and as the popular reoccurring character she created, “Grown-Up Annie.” Recently named on Vulture’s list of “50 Comedians You Should Know in 2015” and one of “The Top 10 Funniest Women in NYC” by TimeOut New York. Michelle headlines comedy clubs and colleges all over the country. She studied improv and sketch with iO West, The Groundlings and Second City in Hollywood. At iO West she performed regularly with Pretty Bird, Popular Science, Days of Passion, The Dollhouse, Spirit Fingers, and two Harold teams. She also hosted The Maggy Keegan Variety Hour, which featured singing, dancing and sketches, and Pretty Bird Presents: Two for the Show, an evening of duos. Maggy co-produced the annual Del Close Awards ceremony as well as the Annual Holiday Revue for iO West. 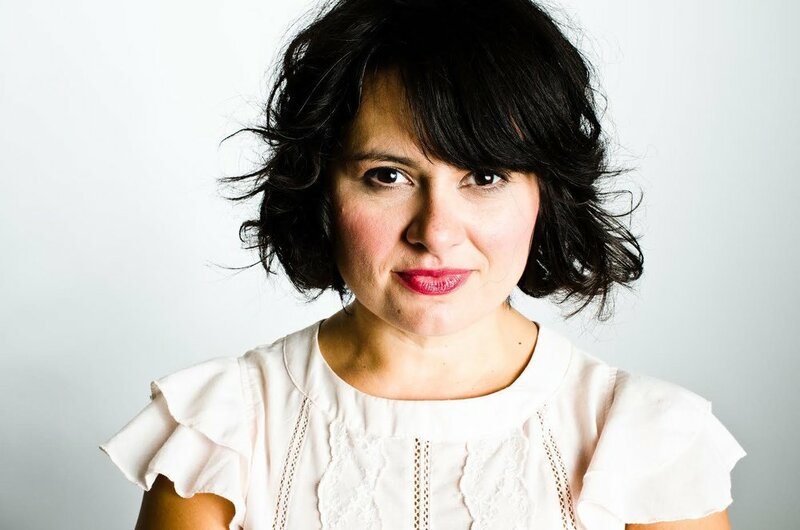 She has performed in festivals across the country including the Los Angeles Improv Comedy Festival, the Austin Improv Festival, NCAAF, and the Chicago Improv Festival. In Philadelphia, Maggy serves the Artistic Director for Figment Theater. She was also the director of Davenger, a PHIT house team that won Best New Act at the 2013 WitOut Awards and she coaches groups including Due Diligence, Triple Double, and The Table. You can catch her performing weekly in Figment’s Vagabond Sessions. A Penn and Bloomers alumna who currently writes for Bravo’s Odd Mom Out. She is also the author of Slept Away and the co-author of Hot Mess. Each year, the Bloomers LaughtHERfest committee works tirelessly to compiles a bangin' list of speakers for the festival. These speakers range from past Bloomers to CEOs to talent executives (often overlapping!) and are all leading ladies when it comes to women in comedy! These guests participate in workshops, panels, and even preform for LaughtHERfest attendees, which should make the annual festival #1 on YOUR to-do list.